It tells the story of Sophie Brown, an attractive vulnerable young girl from Manchester. Sophie is trying to build a new life, working as a counsellor in a women’s centre. She receives a number of menacing phone messages and wonders if her past is coming back to haunt her. Sophie forms a close relationship with Cassie, one of her clients and tries to help her escape from the clutches of a violent boyfriend. At the same time, she is being tormented in her own life. 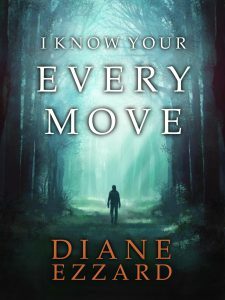 She believes she is being followed and the more she delves, the closer she gets to danger. Her life is turned upside down after a series of disturbing events. Can she revisit her dark past before it is too late? A young couple walked out of the door and with them drifted the strong bitter aroma of the ground Columbian coffee beans mixed with a hint of caramel. I loved that smell. I breathed in deeply. It didn’t take much to tempt me into the coffee shop. My senses were already enjoying the anticipation of the percolated experience. Marks and Spencers and the shopping could wait. It was time for a much needed break and what better way than with a latte fix. I held open the door to Costa and scanned the scene inside. The dark red painted walls adorned with black and white pictures, the chestnut brown tables brimming with used crockery, the busy shoppers enjoying their small talk. As I walked inside, the noise started as a gentle murmur and it turned into a deafening cacophony of varying pitches of voices. I looked at the queue. It was long. I counted nine people. I sighed and weighed up the alternatives. Standing at the back of the queue, I contemplated my options. Everywhere would be busy in the centre of Bury on Saturday afternoon. I made the choice to stay and listen to the churning, steaming sounds of the coffee machine and linger over the confectionary delights displayed in front of me. I stood in line and waited for my skinny latte, watching with interest as the overworked but unflustered baristas made a selection of hot chocolates, cappuccinos, mochas and iced coffee. What! Who on earth drinks iced coffee in January on a day as cold as this? The man in front of me held up a chocolate lolly. He was about fortyish, sporting a long and floppy Gallagher haircut. When he got to the front of the queue with just his lolly, he smiled, “Saturday afternoons used to mean going down the pub with the lads for a few pints then on to Gigg Lane to watch the football and now look at me.” He held up the lolly with pride. The young man behind the counter kept his eyes on the till as he tapped in the sale. His expression was deadpan, as he replied, “Rock and roll, man, Rock and roll.” It made me chuckle. I’ve always loved the natural humour of Northerners. My drink finally arrived, and I made my way to a table, finding an empty seat at the back of the room. Having moved the dirty cups and plates that were waiting to greet me, I sat down to enjoy my drink. Whist walking through the town centre earlier, I had had a bright idea. I’d just been thinking about the night ahead. I’d be lain on the sofa with a mug of tea and the crossword, idly watching nothing in particular on TV. Why not give internet dating a go? I’d been on my own now for over three years and felt there had to be more to life than this. At twenty-eight years old, I was firmly embedded on the singles shelf and I felt it was probably time for a change. Now I didn’t drink any more, I hardly went out much socially, certainly not to pubs or clubs. I had my laptop in my shopping bag. I normally moaned to myself about bringing it out when my shoulder started aching. Perhaps I should make use of it to pass the time. I reached down to retrieve it amongst the tights and deodorant that I’d just purchased and put it on the table and fired it up. Becky, my friend from my first job at Freedman’s had met someone through internet dating and they had been together now for over two years. They seemed very happy. Maybe I should give it a try. “What’s the harm in having a look,” I pondered to myself. Next thing, I shook the computer’s mouse and had pulled up the log in page for a dating site for professionals. Without giving it much thought, I had given out my details and was having a scan through the numerous photos of men. I’d been sat there for a few moments, concentrating on the screen, oblivious to my surroundings other than when I took a sip of my coffee. I did think that this was a far cry from when I used to sit here typing out my thesis. Suddenly, I looked up and my heart missed a beat when I saw who had just walked in. I held my breath and noticed a number of sets of female eyes were looking in his direction. I took a visibly deep breath and slumped down in my chair so that I was only just able to peer over the top of the laptop. He looked as immaculately dressed as always. His snugly fitted dark Moncler jacket with a red scarf wrapped around his neck seemed to set off his piercing blue eyes. His cheeks looked rosy from the cold air and I watched him as he ran his hands through his straight dark hair, combing it back into place. I tried to look back at my screen but couldn’t concentrate. Glancing back up, I saw that he was now walking down the aisle towards me. Embarrassed by what I’d been doing online, I quickly closed down the laptop and put it back in my bag. Our eyes met. “Hi Sophie, fancy seeing you here!” Simon’s face was beaming. I’d always loved that dimple he had on his chin. I rose to give him a hug and tried to force a nervous smile. “How are you, Simon?” I enquired. “I’m great and you’re looking really well Sophie.” His hands were placed on my shoulders, and, holding me at arm’s length he looked me up and down. Then his eyes transferred to the door and kept darting in that direction. “Oh, you know how it is.” The smile had gone, and his eyes looked sad. He was still glancing over at the door. “Are you meeting someone here?” I asked. “It’s ok, I understand. So how are things with you and the lovely Linda?” I didn’t really understand how it was with Linda. I just wanted to say the right thing. “Linda’s fine. We’ve just dropped Daniel off at his friend’s mum and dad’s. We take it in turns each week to go to karate so that we get a Saturday to ourselves. It’s a good arrangement.” He got his phone out and was scrolling through it. He stopped when he found a picture of Daniel to show me. “That’s good that he’s got an enquiring mind. So, how’s work?” I asked. “It’s never been the same since you left. I was sorry to lose you” Simon looked sad. I checked his expression wondering if it was said tongue in cheek, but his expression looked genuine. “Anyway, tell me about you. What are you up to these days?” he enquired. “And your love life?” his face was searching mine. “Oh, oh, I see, so what happened to Kyle?” he asked. “I don’t know. We went our separate ways” I whispered. My mind wandered off to a previous time. Simon was bringing up memories I didn’t want to think about. I quickly jolted back into the moment. “So, do you still live in Bury then?” I asked. “Oh yeah, I moved from Unsworth and I have a flat up Manchester Road now,” I replied. I wasn’t really interested in Simon’s home. Why was I making polite conversation like this? I didn’t want to hear any more. “Simon, do you want to sit here, I’m ready to leave now?” I had finished my drink and stood up to put my coat on. Simon put his drink down and helped me put my arms through the sleeves. I felt the strong weight of his arms on my shoulders. “It’s really good to see you, Sophie” he smiled. “You too, Simon.” I couldn’t wait to get out of there. He moved to kiss me on the cheek and I had to look away from him. I didn’t want my feelings to betray me. I gathered up my bag and we said our goodbyes. As I walked up the aisle to the door, I didn’t look back. Just as I went to leave, a woman with long dark hair and eyes of steel brushed past me. She glanced at me for just a moment too long that it turned into a glare. Did I know her? There was something in her eyes I didn’t like. Her serious expression made me feel uncomfortable. I felt I recognised her from somewhere. I reached the door and opened it wide. The cold crisp chill in the air hit me. I looked back at where I had been seated and saw Simon deep in conversation with the woman. “Ah, so that’s the lovely Linda,” I thought.